The seeds we’ve collected from native plants have been planted so know we can focus on the insect habitats and bee nest box structure. The first structure we’re building is made from pallets, pavers and a variety of natural materials. MJ took several photos so we’ll see if we can get those posted. 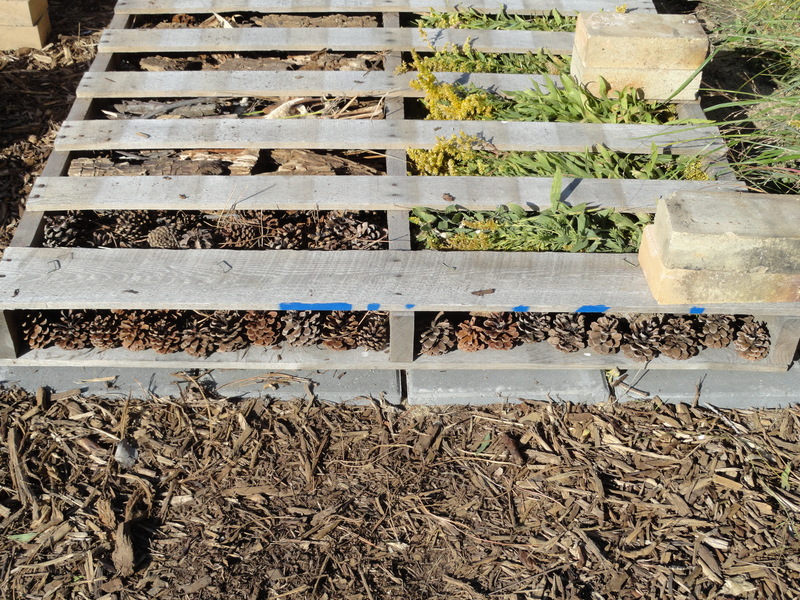 MJ and I filled the first layer with pine cones, goldenrod stems, dried milkweed pods, bark and cattails. The next layer has several logs with holes drilled in them, prairie hay, more pine cones, sticks and well… this is where we’ve quickly learned that we need to collect a lot more materials to fill such a grand structure. We hope to make it four pallets high before winter arrives. So off to collect more materials. Funny, how you start eyeballing other people’s yard waste set out for curbside recycling. 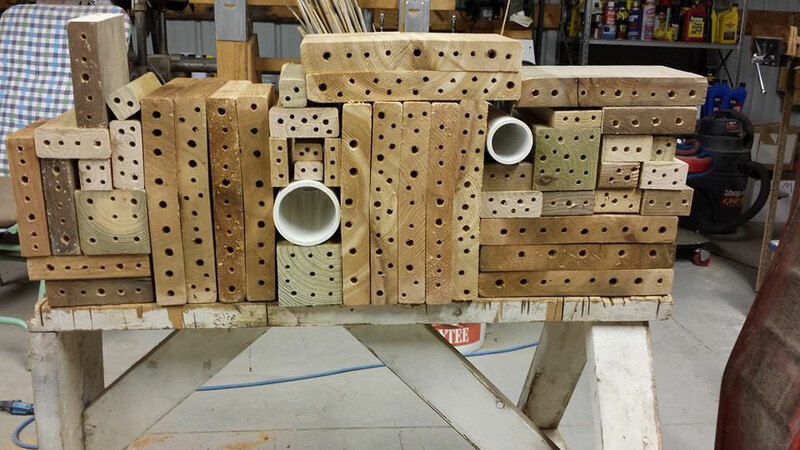 The Native Bee Nest Box structure is also a work in progress. We went to a surplus area and found a great table and bookcase made of solid wood. 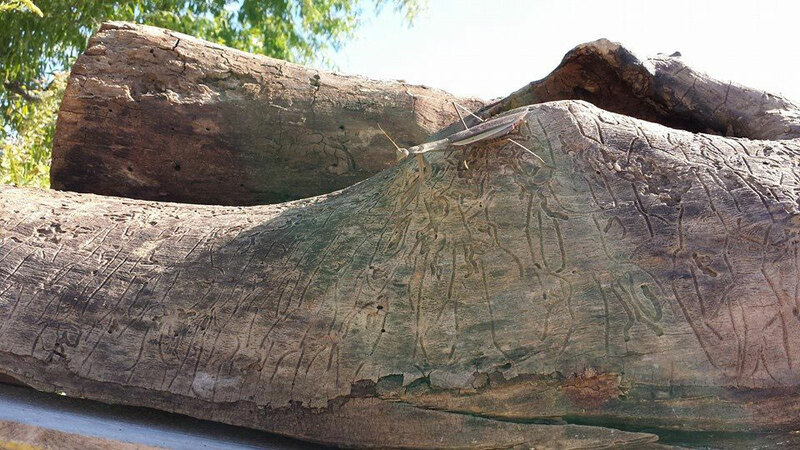 The wood will be treated with natural preservatives, but it is meant to be outdoors so that’s where it is headed. The bookshelf will be screwed into the top of the table. This is the housing for the bee nest boxes. I’ve been collecting scrap lumber and logs. There has been a lot of sawing, drilling and sanding. Each piece of lumber has 1/4″, 3/18″ or 5/18″ holes drilled in it – varying from 3-6″ deep. The pvc pipe sections will hold phragmites and bamboo tubes. In addition to scrap lumber, natural logs will fill in the gaps. 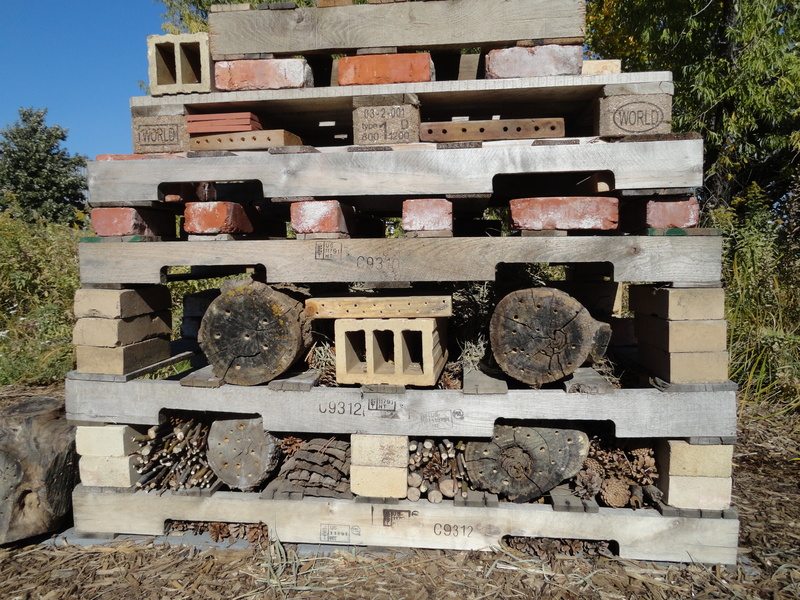 First layer of insect hotel, filling pallet with pine cones and plant material. Building insect hotel. Filling layers as we add pallets. ← YAY Fall!!! We’re able to plant this week!